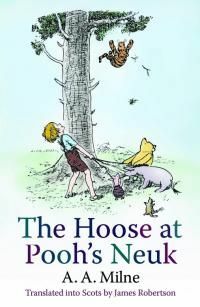 Following on the success of Winnie-the-Pooh in Scots, here comes the second volume of stories featuring Pooh, Wee Grumphie, Heehaw, Hoolet and all the other creatures of the Forest, and introducing the strippit bampot Teeger. The House at Pooh's Corner was first published in 1928 and is a classic of children's literature. This edition contains the original Ernest Shepard illustrations.